Anyway, they bought the jersey for $1700!!!! Isn't that a huge over pay? I was sitting there with my wife and i said, that is like a $500 jersey, they just got ripped off. Just figured I would discuss this with fellow jersey nerds. Pawn Stars is still on the air? Just saw this thread now. What's funny is that when this was posted in the FB game worn groups many were saying that Rick got it for a steal. haha fair enough. I guess "interesting" is the word I should I used. Honestly to me this is more of an "event worn" jersey than anything else. They tried to make it out as the very first jersey worn for the team which I guess you can interpret it that way, but I don't think it is any different than any other of those "draft worn" jerseys that pop up every so often. I have never bought one nor cared enough to look into that market, so I really don't know how much these things go for, but the price they settled on just seems a bit high to me. Assuming it’s the actual event worn jersey (there’s talk on FB about it being a possible publicity stunt by the Knights) I think $1700 is kinda high, too. 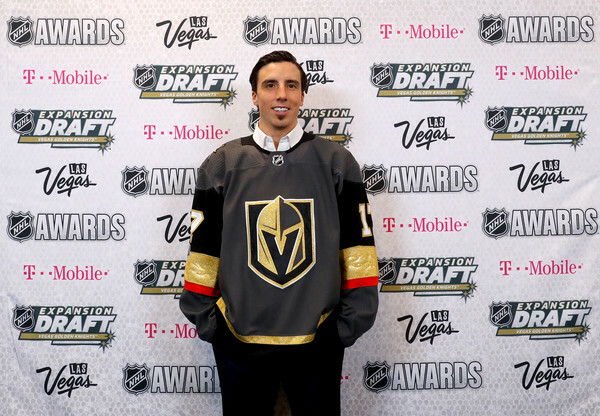 Big deal, Fleury wore it for a few hours at the draft. But, what do I know. Lindros’s press conference jersey sold for over $4,400 at Classic. Different circumstances, but take it for what you will. Fleury will be a HOFer too. The Vegas Golden Knights jerseys will definitely be interesting to see how they hold value in the future. 1700 for a draft jersey seems absurd, but Fleury is the face of the franchise and they are the most successful expansion team. Personally, I would rather spend that money on a gamer than a draft jersey. Yeah, until he melts down in the playoffs again. He's proven me wrong so far, LOL.